The fact that alcohol harms not only physical but also mental health is known by every adult and child. The lethal outcome is not uncommon for drunk alcoholics who did not wish to be treated, or simply do not have time to contact the experts. Even when we are not talking about alcoholism, alcoholic beverages are directly harmful to human health. Every citizen who cares about their health and the health of their families and friends needs to know about the consequences of the use of alcohol beverages for the human body and psyche. 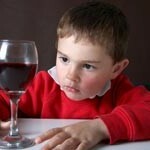 Scientists say that even small doses of alcohol can cause significant harm for the health of children and adults. Besides, now there are clinical studies that confirm the harmful effects of alcohol on the human body organs and systems. It’s no secret that people are not always inclined to believe the assurances abstract doctors that alcohol is a poison. To ensure that there is no benefit in alcohol, it is necessary to understand in detail how the alcohol affects the body. The devastating impact on the brain – it’s one of the worst effects of alcoholic beverages on a person. About the importance of brain for the functioning of the human body we know a lot, but some of the mysteries of our body are not yet solved. Despite this, it is absolutely clear that the brain is one of the most important centers; it plays the first role in a correct and adequate operation of the organism. The brain controls breathing, heart rate, swallowing, and many other more or less important life functions. Alcohol, used on a regular basis, it is the reason that in the brain there are irreversible changes that prevent the body from functioning properly. It is worth noting that the more and more often the patient consumes alcohol, the worse will be the consequences that provoke the use of beverages. Those irreversible consequences that arise from the constantly abusing citizens are currently the subject of research for many scientists. It is worth noting – change depends entirely on how frequently and intensely alcoholic drinks. the overall current level of alcoholic’s health. inability to control the situation. This can happen not only with children and women, who are more susceptible to alcohol due to physiological reasons but also to men who have a greater resistance to alcohol. Proved, that alcohol used by women and children, even in small doses, is able to cause a disproportionately greater harm than the men, who (according to statistics) consume alcohol more often and in large quantities. severe damage to the nervous system. The combination of these factors makes the ladies an easy target for producers of alcohol beverages. If we recall also that the reason for the use of alcohol for women is often a more psychological factor, it becomes clear how much alcohol is dangerous for the fair half of mankind. drop in overall health levels as a result of alcoholism. It is difficult to find a body or system of the human body to which alcohol would not have destructive actions, and the fact that the brain is one of the first, which suffering from alcohol, leaves no doubt. Thiamine is an essential substance for the proper functioning of the body. Among people, it is more commonly known as vitamin B1. B vitamins are extremely important for the human body, and the lack of them can often give rise to a variety of pathological conditions. The brain is one of those bodies, for which adequate intake of vitamin B1 is critical. As a rule, the alcoholic has a deficiency of this vitamin when there is poor nutrition, as well as violations of metabolic processes in the body, triggered by alcohol abuse. the second stage, which has long called for, and Korsakow-syndrome. The first stage is usually characterized by a brief aggravation, which quickly turns into Korsakow-psychosis. The second stage of the disease, although it has a calm nature, but capable of extraordinary deplete the alcoholic’s body. appearance of problems with vision (a consequence of damage to the optic nerve). Patients suffering from Wernicke-Korsakow disease, usually forgetful, quickly irritated, often can’t independently get out of the room. In addition, alcoholics with Wernicke-Korsakow often can’t correctly reproduce the information that they had been told before the start of their disease. There are cases when patients forget what happened ten minutes ago with them. It is also often the case that alcoholic reproduces the information or fragmentary voices twisted and incorrect data. 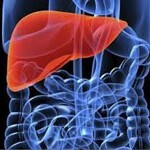 The liver – is one of those bodies, which suffers from alcoholism first of all. Many people know that the liver, kidneys, heart and brain, as a rule, the first organs, which feel the devastating effects of alcohol and that is the case. Serious diseases of the liver – this is exactly what the alcoholism is leading to. Furthermore, excessive alcohol consumption leads to the destruction of the liver. It’s not a secret that the liver is the organ that has to fight with a hit of alcohol in the human body. The question is what the liver is forced to produce substances directly involved in alcohol metabolism. The liver, as the organ that has to deal with alcohol cleavage, is originally not intended for this purpose. As a result, it turns out that the liver gradually “wear out”, exhaust its resources, resulting in a gradual fatty degeneration. The destroyed areas of the body are not filled with new cells, hepatocytes, and fragments of adipose tissue. As a result, the working surface of a liver is substantially reducing. Hepatic encephalopathy is dangerous, but the fact that it can provoke further violations of the brain, making this disease more dangerous. The essence of the effect of the diseased liver to the brain is that affected hepatocytes begin to secrete a large number of harmful substances, which are capable of detrimental influence on brain cells. When the output substances from the bloodstream enter the brain, this is what happens: under the influence of substances from the liver the brain cells are dying. The consequence is that alcohol not only causes direct harm to the brain but also has on it a destructive mediated effect by the diseased liver. inability to coordinate its own motion. 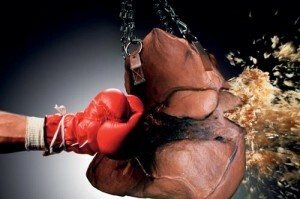 It is necessary to know also that the damaged liver can become a cause of death of the alcoholic. This is the so-called hepatic coma, which usually becomes the cause of death for the patient. Most women know that alcohol is harmful during pregnancy, but not all fully understand the meaning of these words. Often you can observe how the woman is drinking a small amount of alcohol, she tend to think of “quality.” As a rule, in the discharge of such high-quality alcohol ladies include dry red wine, which supposedly is able to supply the body of a pregnant with all the missing minerals, as well as contribute to the strengthening immunity. At the moment, scientists and doctors have found that alcohol consumption is unacceptable for women who are expecting the birth of a baby. No matter what kind of alcohol and in what doses are used by the woman, it still is able to provide the same devastating effect on life, growing in her womb. Perhaps some readers will still remember that during the Soviet era obstetricians even recommended for pregnant women to consume red wine. As a rule, there was the talk of one tablespoon of dry red wine per a day. These tips were attributed to those useful properties possessed by red wine. Now these tips are considered direct wrecking the health of women and children. Every pregnant woman should keep in mind that alcohol is not the product that is able to provide any benefit in her condition. Among other harmful to fetal effects of alcohol, consumptions are the so-called fetal alcoholism, which is also often referred to as congenital alcoholism. This form of alcoholism develops in the child in the womb and the risk that the baby in the future can be not only alcohol addicted, but also to have a number of serious deviations in physical and mental development. Slow growth, development, and pathology of the internal organs – is part of the consequences of alcohol use by the mother during pregnancy. the improper functioning of the brain cells. Drinking alcohol is not only a mother’s casual attitude to her own health and the health of the future baby, but the real crime against the child. Many expectant mothers ask the doctors whether to drink at all impossible. Often you can also hear that drinking alcoholic beverages is allegedly permissible (according to women themselves). Do not assure yourselves and look for opportunities to part with your favorite alcoholic drink during pregnancy: every woman should know that alcohol is harmful during pregnancy in any quantity. 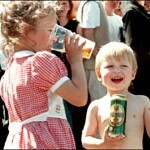 Women, who think that beer is a harmless to drink for pregnant women, are mistaken. Specialists, speaking about the impact of soft drinks on the fetus, say that mother who wants their child can use only half of those chances that were released to him by nature may continue to use half the usual amount of beer. I do not think that a beer or other alcoholic beverages will operate on the baby more gently than strong alcohol drinks. Also, it does not need to be deceived into thinking that the occasional use of alcoholic beverages does not affect the fetus and the health of the mother herself. The problem of alcoholism of pregnant is also exacerbated by the fact that many women learn that they are pregnant only when a month passed after conception. During this period, being in the dark, she could easily drink alcohol in the usual doses for her. After learning about the pregnancy, perhaps even desirable, a woman begins to panic, as heard on the harmful effect of alcohol on the body of the baby. Experts recommend seeking the advice of an obstetrician-gynecologist, who will be able to objectively assess the situation before making a decision about the fate of life developing inside. Teens – one of those groups that are more likely to suffer from the effects of alcohol. Experts who say that alcohol is extremely harmful to women, also point out that the body of a teenager even more vulnerable. This is due to the fact that the teenager’s body is not yet fully formed, there occur various processes of growth and development, for which alcohol affects negatively. Adolescents – is one of those groups that are more likely to suffer from the effects of alcohol. Experts, who say that alcohol is extremely harmful to women, also point out that the body of a teenager even more vulnerable. This is due to the fact that the teenager’s body is not yet fully formed, there occur various processes of growth and development, for which alcohol affects negatively. There are many different reasons that motivate teenagers to get acquainted with drinks for adults. In each case it is necessary to deal separately with the fact that was the reason that the teenager started to drink alcohol. However, we must remember that the harm that beer or wine can cause to the body of a teenager may be unrecoverable and will affect the fate of the future. In case if t the parents and child have a relationship of trust, the conversation about the dangers of alcohol for the teenage body is not superfluous. Parents should choose the form of talks, which will be the most suitable for a conversation with the child. In addition, it is desirable for parents to use the arguments that will be weighty for their offspring. Naturally, such a conversation requires not just a well-established relationship between parent and child, but also knowledge of the psychological characteristics of the son or daughter. Needless to say, that the conversation with the child, the contact with who was lost, will not bring any good? Moreover, there may be a situation in which the child will do everything possible to do in spite of their parents, that is begin to try alcohol, even if not originally felt him thrust or desire to try. alcohol forces the student to degrade emotionally and intellectually. Depending on the priorities that are in the life of a teenager, he can be influenced in different ways in the course of preventive and educational talks. For example, if the child is interested in some of the school subjects, you can try to explain to him that beer can significantly affect its results and progress in the development of the subject. Separately it is necessary to mention the harmful effects that alcohol has on the liver of a teenager. The fact is that the pupil’s liver under the influence of alcohol collapses faster than adult liver. This is due to the fact that liver of a teenager has higher vascular insight. Besides, the child liver is not able to produce the required amount of alcohol to neutralize enzymes. It should also be noted that beer has a strong diuretic effect, often it’s the reason that the body of a teenager is washed away many valuable minerals and vitamins. As a result, a teenager not only begins to suffer from damage caused by alcohol directly, but also because of deficiency of the necessary substances. About that how harmful alcohol to children you can hear from variety sources: social services, children’s doctors, and health organizations provide propaganda against teenage drinking. It should be noted that typically the teenager starts to think that the alcohol is harmful only after he diagnose of a particular disease. Just in such a situation, the conversation about the disastrous consequences of drinking for the growing organism can have benefits. The teenager will be inclined to listen to reason and heed the advice and admonitions of parents, teachers, and doctors. It will be useful to allow the teenager to communicate with senior colleagues, who had problems with alcohol, but were able to realize the viciousness of craving for alcohol and time to recover from teenage alcoholism. To learn exactly how to organize such a meeting is for your own child, it is best to consult with a specialist in drug treatment and psychologists, who will prompt the best solution to the problem.